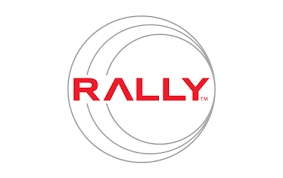 Rally delivers software and services that drive agility. Organisations worldwide use Rally's solutions to navigate evolving market demands, improve performance, and accelerate the pace of innovation to deliver value faster. Rally’s enterprise-class SaaS platform transforms the way organisations manage the software development lifecycle by aligning software development with strategic business objectives, facilitating collaboration, and increasing transparency. As Rally partners, we provide a full range of services to help you get the most from your Rally implementation. We can evaluate your unique needs, recommend the right implementation and configurations and work with your team to provide training and coaching. Our expertise in supporting Enterprise Agile Adoption including Portfolio Management, Agile Technical Practices and DevOps implementations provide us a unique perspective on the right tools to help accelerate your agile adoption and enable your software teams to build high quality software.